About: Riverside Grange is a charming converted tannery quietly situated on the river edge overlooking a cider orchard, set in an Area of Outstanding Natural Beauty. Conveniently situated for Wells (3 miles), Glastonbury (5 miles) and the Royal Bath and West Showground (5 miles). Riverside Grange is also in close reach of Longleat Safari Park, Cheddar Gorge, Wookey Hole, Clarks village (factory outlet shopping) and the Georgian city of Bath. There is a village inn within a short walk. The comfortable non-smoking rooms have tea and coffee making facilities and colour television. 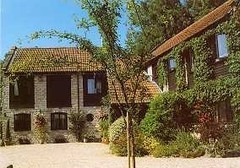 Products or Services: Bed & Breakfast, holidays, short breaks.